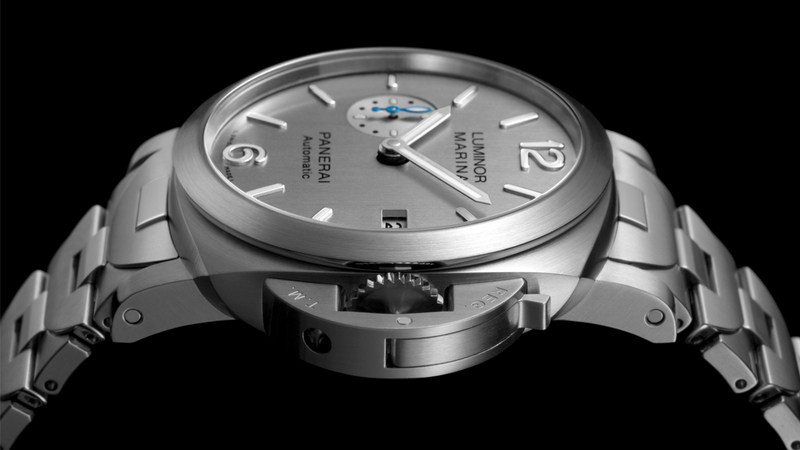 EXACTLY how Panerai can always find new ways in which to interpret a very identifiable design DNA is a feat by itself — surely constantly re-imagining a Radiomir or a Luminor or a Submersible can’t be easy. Yet more often than not Panerai manages to pull it off, and its latest take on the Luminor Marina is proof of this ability to infuse a fresh touch on a brand staple. 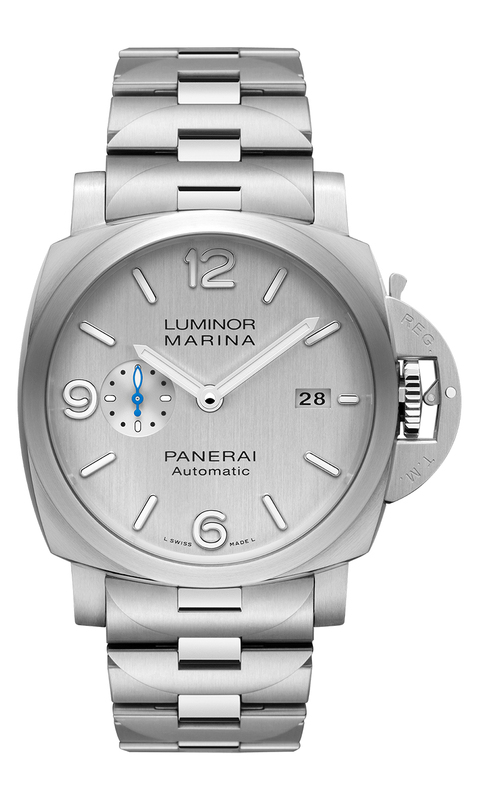 Unboxed by Panerai were 42-millimeter and 44-millimeter versions of the Luminor Marina, both of which defined by silvery dials and metal bracelets. 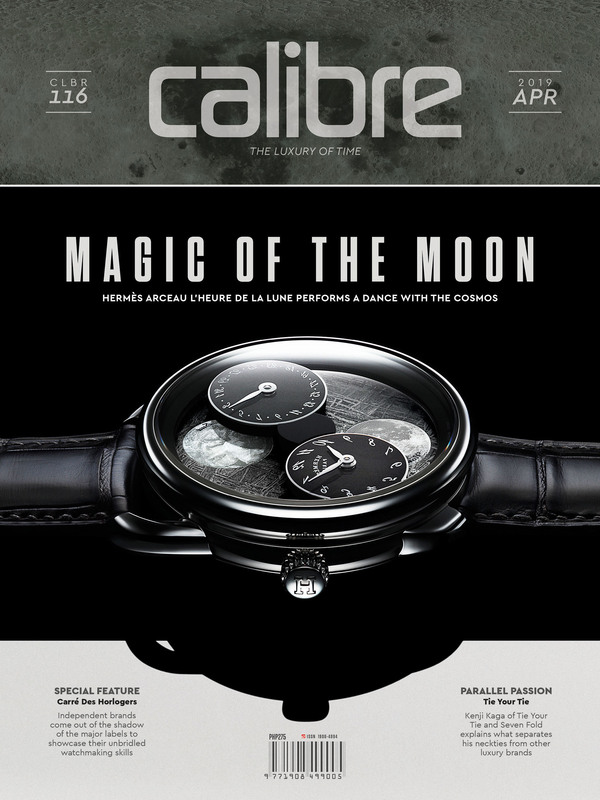 Though not exactly unheard of in Panerai’s narrative, the latest renditions still come across as quite novel. The two watches’ silver-colored dials have brushed finishes with vertical graining. Sitting on top of this are the familiar stick hour markers and large “12” and “6” Arabic numerals — applied in this case, but also expectedly luminescent. A discreet date window with a black-on-white marking is placed at 3 o’clock. Directly opposite it is a small second subdial with blue hands. Framing this silvery landscape is a steel case, including the signature bridge crown protector. The metal bracelet is also steel, almost completely brushed, save for the polished rectangular portions straddling each link. Interestingly, adorning the links are patterns mimicking the shape of the bridge crown protector. It’s a detail that’s easy to miss, but difficult not to gaze at once it’s noticed. 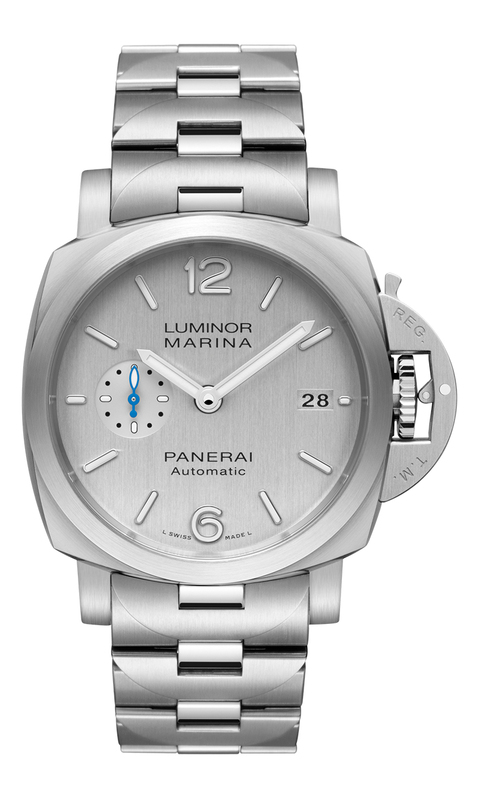 Beneath the metallic Luminor Marina pair beats Panerai’s in-house, self-winding cal. 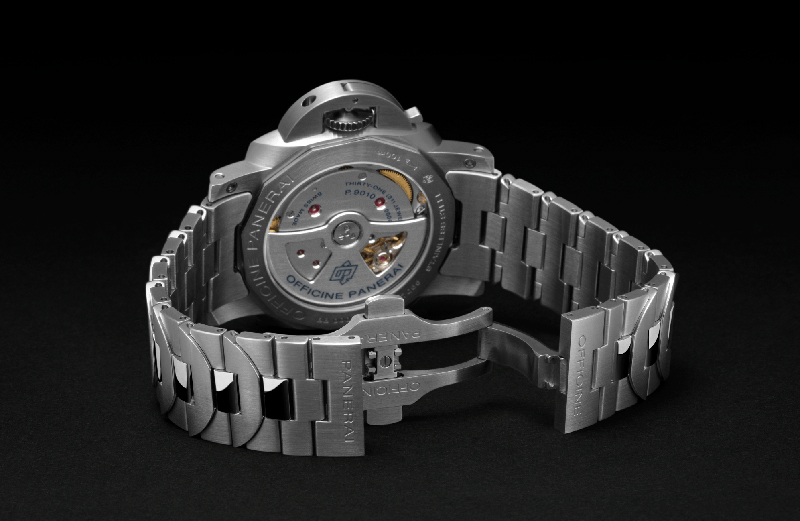 P.9010, visible through the sapphire crystal caseback window. This movement packs a pair of mainspring barrels to allow it three days’ worth of power reserve, has 31 jewels, operates at 28,800vph, and is also fitted with a mechanism that lets the hour hand be adjusted in one-hour increments forwards and backwards, with the act not interfering with the sweep of the second hand. This makes setting the time for a different location quite easy. It is also fitted with a balance mechanism secured in place by a bridge with twin supports, and Incabloc shock protection. Of the two Luminor Marina versions, it’s the 44-millimeter PAM 978 that can submerge deeper underwater — or 300 meters down from the surface. The 42-millimeter PAM 977 has a water resistance rating of 100 meters. Both, however, are sure to shimmer down there. Or in any environment, for that matter. For Oris, Plastic Isn’t FantasticFrom What Material Is This Seiko Presage’s Dial Made?